Do you want your Nokia Lumia unlocked? Well congratulations. You have arrived at the best place to get the job done by professionals, and at a competitive price too. Our Nokia Lumia unlock knowledge and skills are almost unrivalled, so you can be sure of getting your phone unlocked, regardless of what model it is. The Nokia Lumia unlock process is easy and straight forward and we support a wide variety of networks O2, Tesco, T-Mobile and EE are some of the UK networks we handle here. 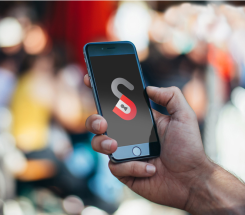 The price for each network is competitive and you can expect your phone unlocked within between 1 and 10 business days,and with the absolute minimum of fuss. Just make sure you select the right network for your mobile phone. A real bonus for many of our customers is that our Nokia Lumia unlocking skills will also serve you if your device is locked. Here at Unlocking Smart, we pay absolute attention to our customers. Feel free to contact us through our customer support channels that appeal to you the most if you are not sure whether your network is supported, or if you have any questions about the process. We will answer all your queries as fast as possible.